Everybody tries to stick to his diet. But sometimes you just see something so delicious ... and if it's RIGHT in front of you?! It's hard to resist. 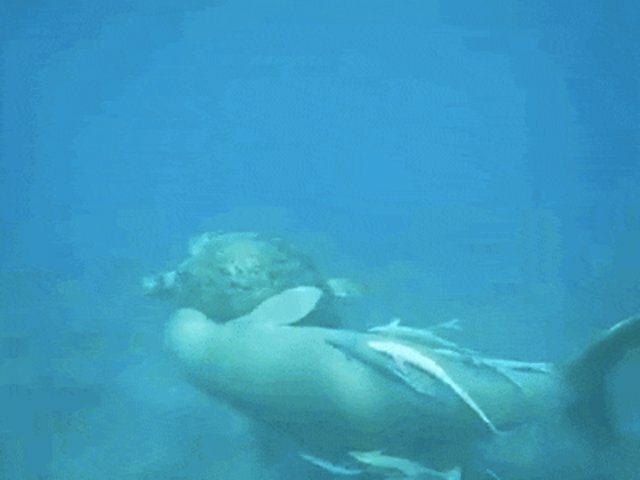 Usually, dugongs stick to a diet of underwater grasses, but this one appears to have found something even more delectable. 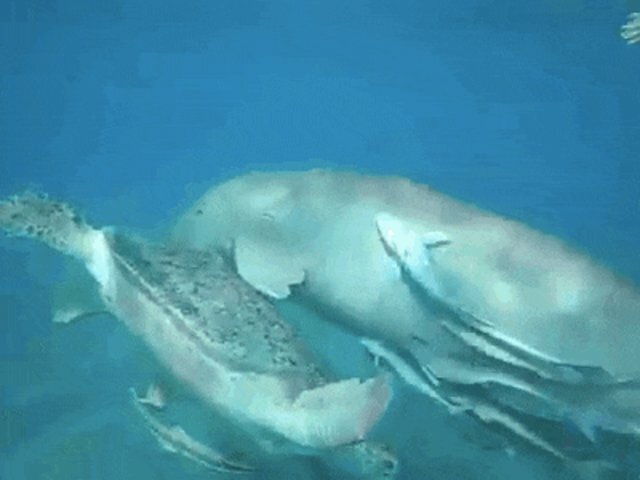 While it may look like he's sniffing out to see how the turtle tastes, he's much more interested in eating what the turtle has on his back: algae. The dugong may have gotten the idea from the remoras, or the "suckerfish" who are attached to his very own belly. Remoras do this because it's a convenient way to find nutritious food such as their host's feces and external parasites. Yummy! A relative of manatees, the dugong is the lesser known of the sea cow family. And right now, he's cowin' out on that algae. 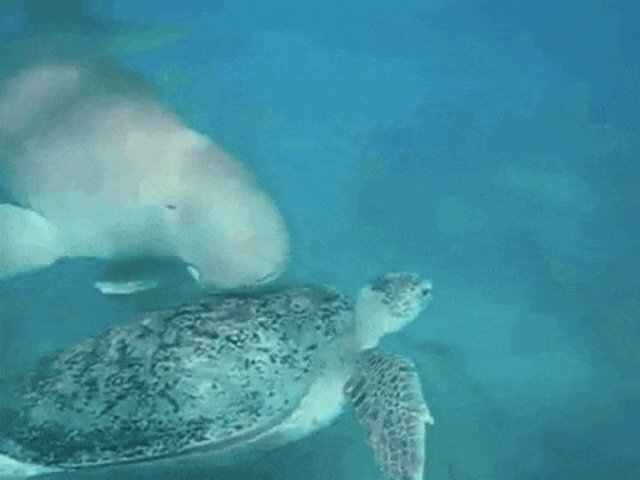 We feel for you, dugong. You should go for it. 'Cuz algae is not the worst snack alternative, and sometimes you just gotta treat yo self.